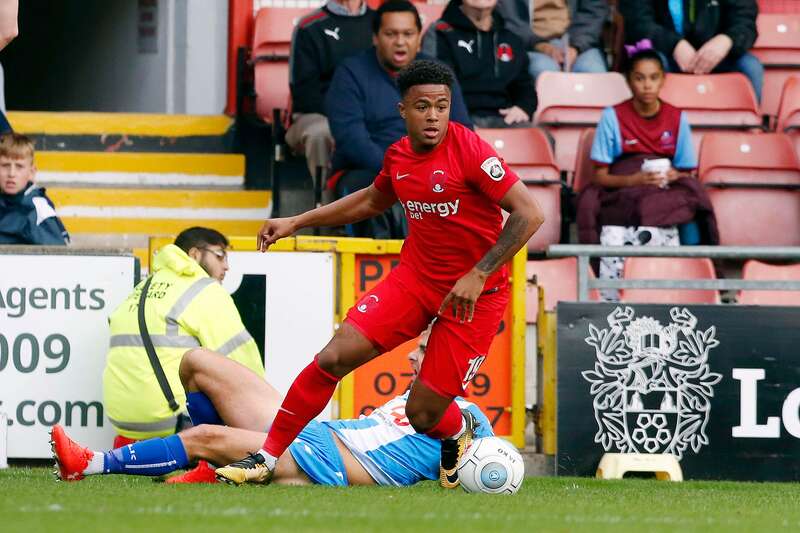 Orient continued their poor form of late with their third consecutive defeat, 2-1 to a Hartlepool team brimming with confidence at Brisbane Road. Having started the season so well Leyton Orient are dropping down the National League table like flies as Hartlepool in difference are climbing the table thanks to a Rhys Oates winner two minutes into the second half that was enough to grab all three points for the visitors. This was the second home defeat on the trot and the Orient team are not only out of form but are losing every game without much fight of late. Only two and a half weeks ago there was a 20 place difference in the league between the two clubs with a buoyant Orient team sitting in second and Hartlepool down in 22nd place. Today Orient have slipped dramatically to 13th while Hartlepool aren’t far behind and up to 15th and breathing down the necks of their East London opponents. It’s difficult to see exactly where things are going wrong but the O’s midfield seems to be over run almost constantly of late and a lot of passion and heart appears to be missing from the team in general, a far cry from the opening 7 or 8 games of the season where there was a real expectancy from the fans and the club. The goal difference of -3 is sending out alarm bells too. Minus three is not good for a team hopeful of promotion in 2017/18 while in contrast Hartlepool who are on a fantastic run of 4 wins and a draw in the last 5 games are on a better goal difference of only minus one. A decent crowd of 3,867 were hoping to see the O’s get back on track following consecutive defeats to Halifax Town and Boreham Wood but they were to be hugely disappointed as Hartlepool came to Orient with a solid game plan that worked like concrete. It was only a few months ago that these two teams were slugging it out like retired boxers on a last pay day and inevitably both teams weren’t good enough and were relegated from the Football League for the first time in both their respective histories. However the old adage of a new broom sweeping clean couldn’t have been more apt as both clubs had a major clearout of personnel over the summer. At first Leyton Orient were on fire (we’ll forget the Bromley massacre) while Hartlepool couldn’t light up a barbecue. However the last few weeks their contrasting results have proved an eye opener with Hartlepool finding bite and eagerness and Orient struggling to make any impact and looking woefully out of their depth at the current time. Orient started well enough and opened the scoring as early as the 18th minute when David Rooney’s shot from Josh Koroma’s superb through-ball was excellently saved by goalkeeper Scott Loach between the sticks but the loose ball was tucked away nicely by Jobi McAnuff and a sense of relief rang around a mainly jubilant Brisbane Road. 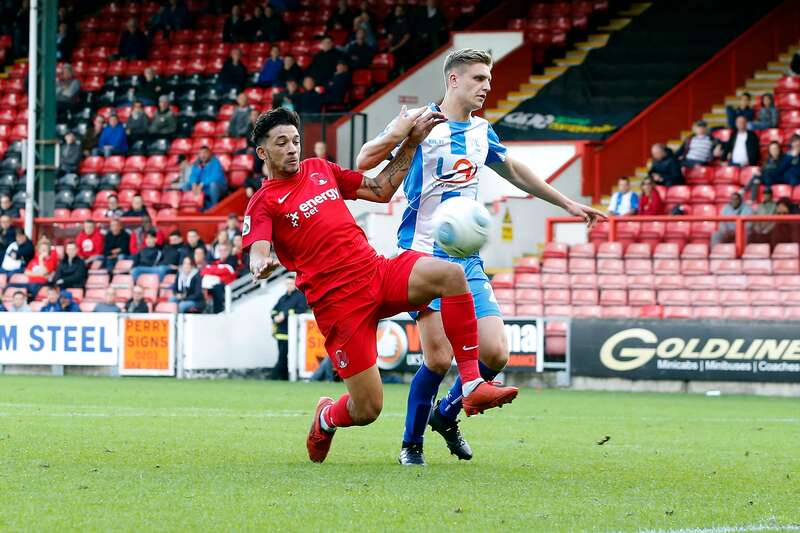 In fact Orient could have been 2-0 up as Macauley Bonne came close to adding a second as his half-volley across the keeper came back off the left-hand post and away to safety. The game which was surprisingly televised by BT Sport of all people looked to be heading for the break with the O’s a goal to the good but it was not to be as Hartlepool’s Jonathan Franks smartly turned the ball home after a free kick had not been dealt with by the Orient defence who looked out of sorts. A goal apiece at the break and It got worse for the East Londoners immediately after the break. Just over a minute had gone into the second half when Nicky Deverdics’ pinpoint free-kick was superbly headed home by Rhys Oates. A sucker punch for the O’s and they never really recovered. Pool striker Ryan Donaldson’s deflected shot hit the right-hand upright, and although at the other end Orient’s Bonne was denied by Loach and Koroma had a goal ruled out for offside, Hartlepool were victorious.